My mom moved from the suburbs to the city last fall, and it has been the most wonderful change for us both. She only lives about 1.5 miles from me, and instead of seeing her every other week or so (like I did when she lived in the burbs), I now see her every other day! To say I’m excited about her new digs would be an understatement. Now if I have nothing to do on a Saturday night when Finn is out with his friends, I can call her on up for a wine night. Or if I’m heading to the grocery store all alone, she can come get her groceries too. It has been life-changing for us both and I couldn’t be happier to have her close by. In her transition from a big house to the suburbs, to a 2-bedroom condo in the city, Jan got rid of TONS of stuff. She purged about 80% of her belongings and ended up selling most of her furniture. 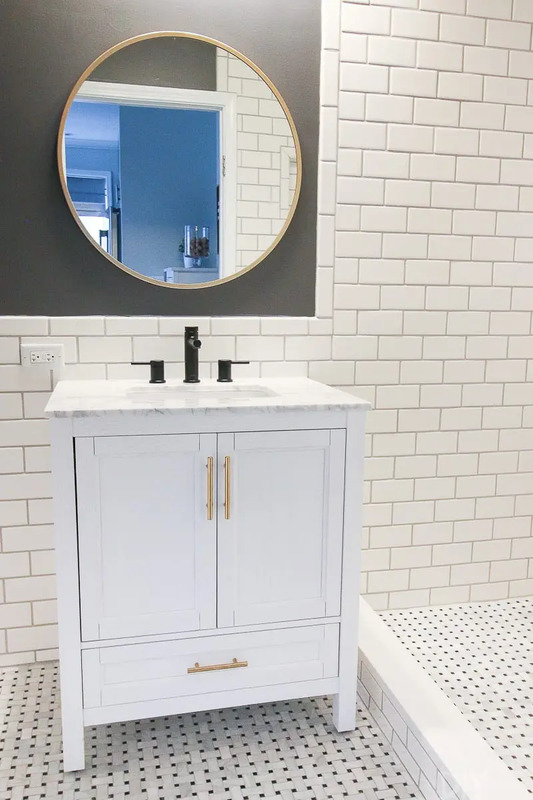 At first, she was a little hesitant to get rid of so much, but now she is loving the chance to start fresh and decorate a home that is totally her style. I’ve slowly been helping her decorate every room in her new place, and I’m planning to share some of the spaces here on the blog. Our styles aren’t too different, but hers is much more soft and feminine…which is perfect for a woman with her own place. This Friday I’ll share her gorgeous master bedroom here on the blog. 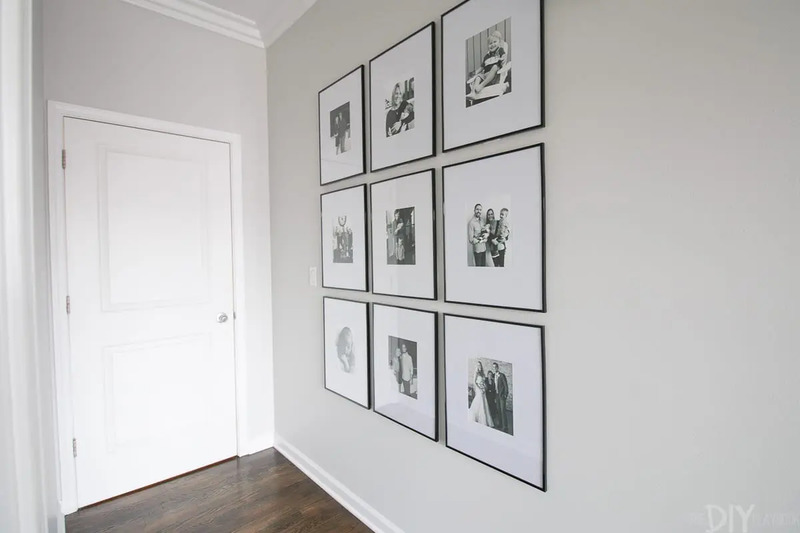 Today, I’m just showing you guys the floor-to-ceiling symmetrical gallery wall we hung on a wall in her bedroom. My mom’s master bedroom is fairly large (especially for the city) and on the route to her bed is a long hallway that was begging for a little attention. Instead of finding a large (read: pricey!) piece of art for the wall, we decided to hang a symmetrical gallery wall. 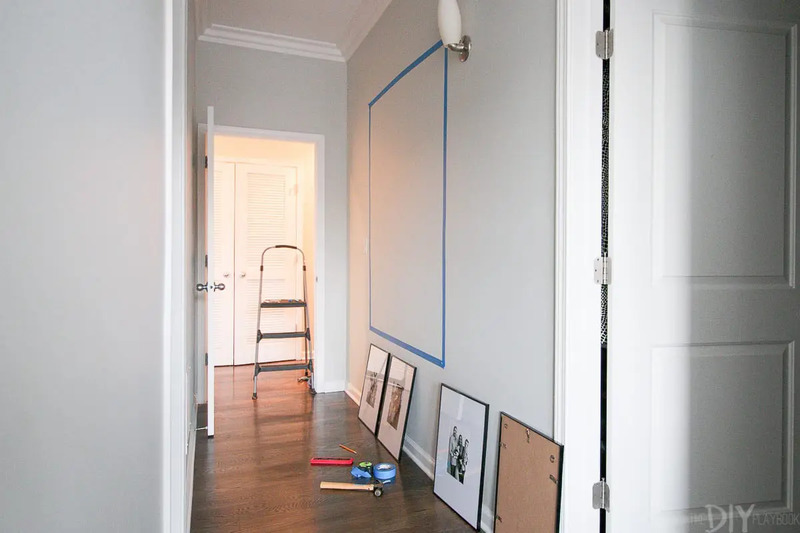 This is a great way to make a big impact on a large wall, without spending a ton of money. 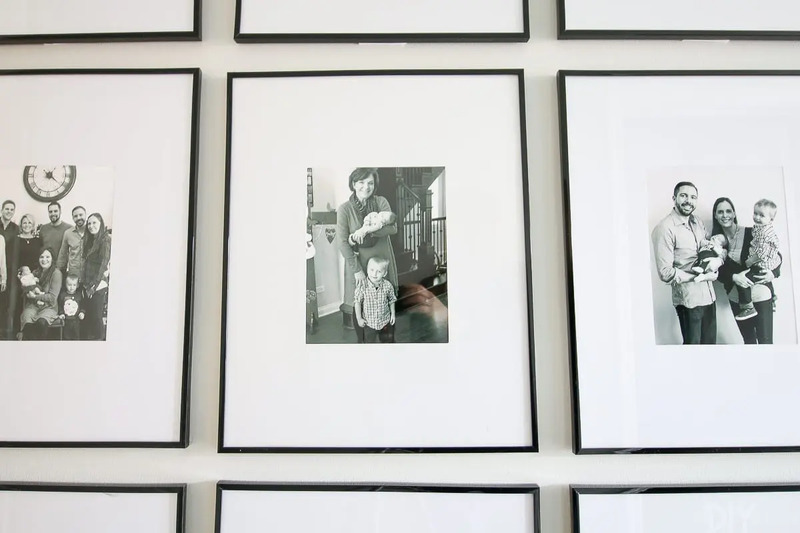 Plus, her gallery wall is filled with some of her favorite photos of her favorite people. I love when you can incorporate special personal touches into the art on your walls. We ended up using nine 16×20 frames from Michaels. 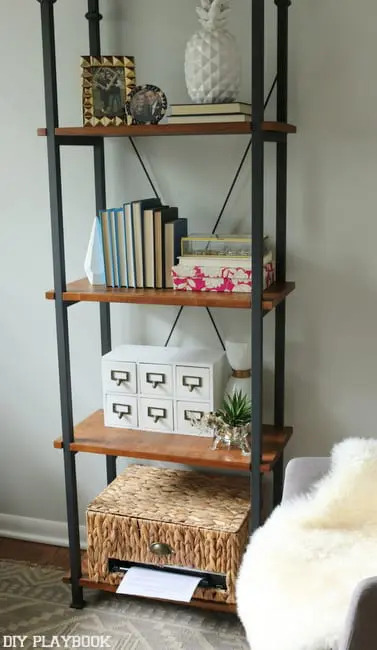 These are actually the same inexpensive frames I have above my nightstands, and the frames Bridget hung in her old office space. We love them so much because they’re budget-friendly, the white mats are super thick, and the thin black frame makes the art really pop. Here’s a link to the exact frames on Michaels.com, but be sure to check your local store too! Because we wanted to really make a big impact, we decided to go from floor to ceiling with the frames. To visualize, we taped it out with painter’s tape first to see how we liked the feel of it. 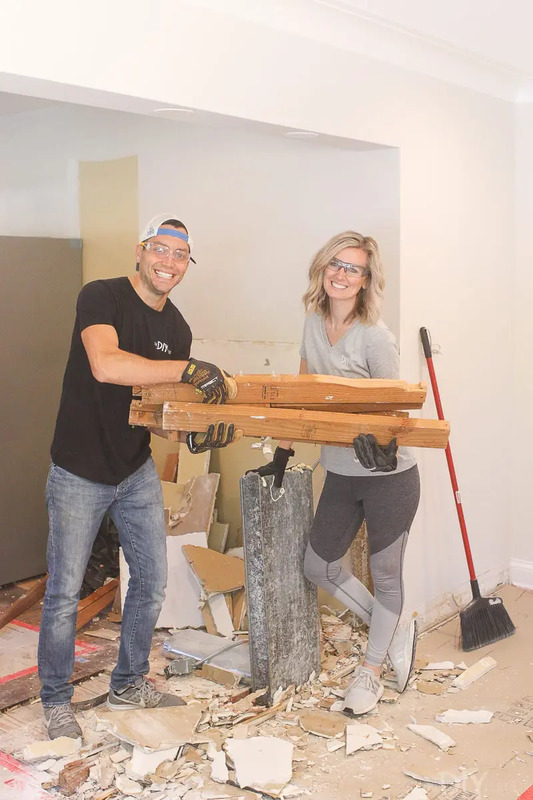 If you’re doing a big impact wall like this, I think it’s always important to make sure you love it before you start creating holes in your wall! 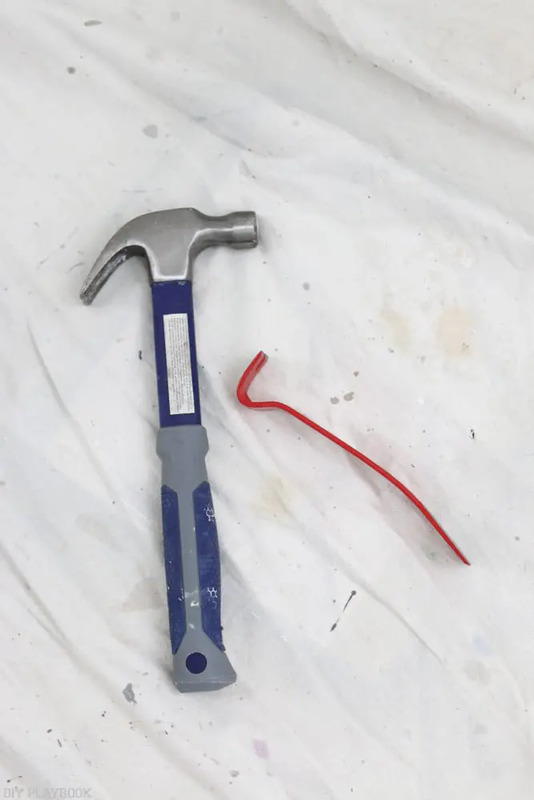 Painter’s tape will help do just that. 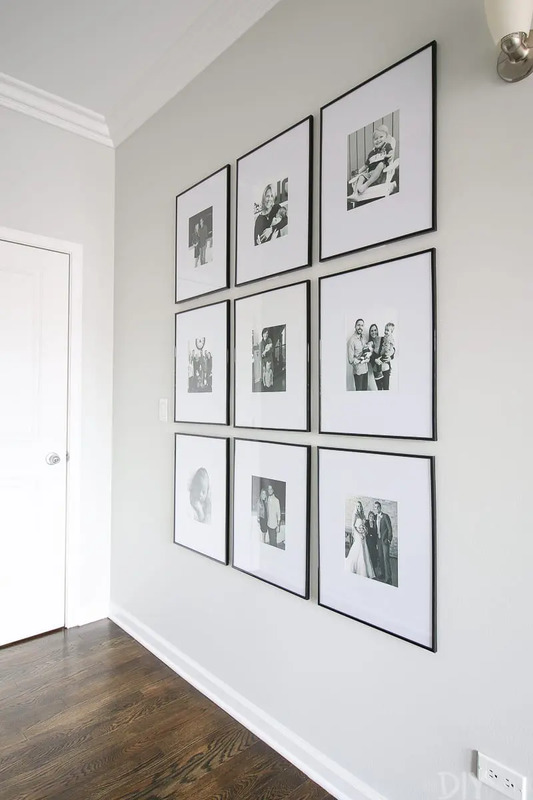 Odd numbers look best together, so we settled on using 9 frames for the large statement wall. Once we gathered all of our frames (after a few trips to Michaels) and my mom printed out her black and white 8×10 photos, it was time to get to work. 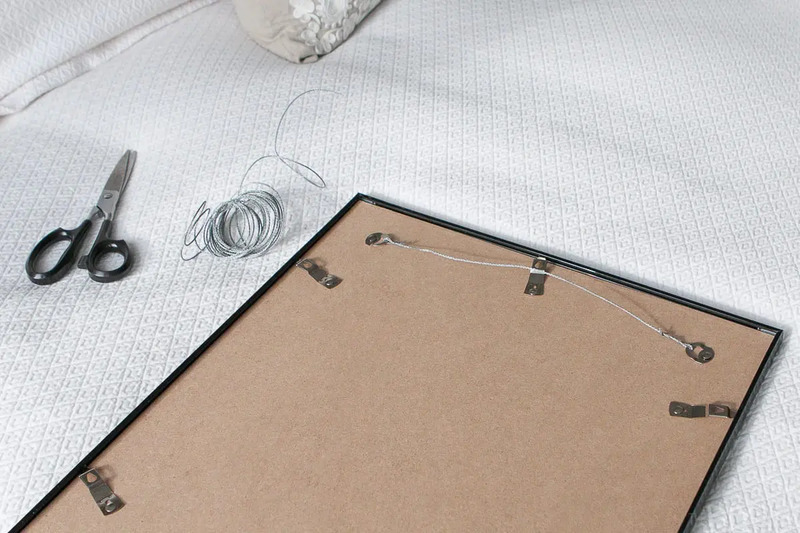 These frames have 2 hooks on the back, and we quickly realized that our best bet would be to use picture hanging wire. That way we wouldn’t need to put 2 holes into the wall for each frame, and we wouldn’t have to spend as much time making sure the 2 nails were spaced correctly for hanging. We used a short piece of wire and strung it from each hook on the back. I recommend making the line pretty tight so the frame doesn’t stick out from the wall when it’s hung. 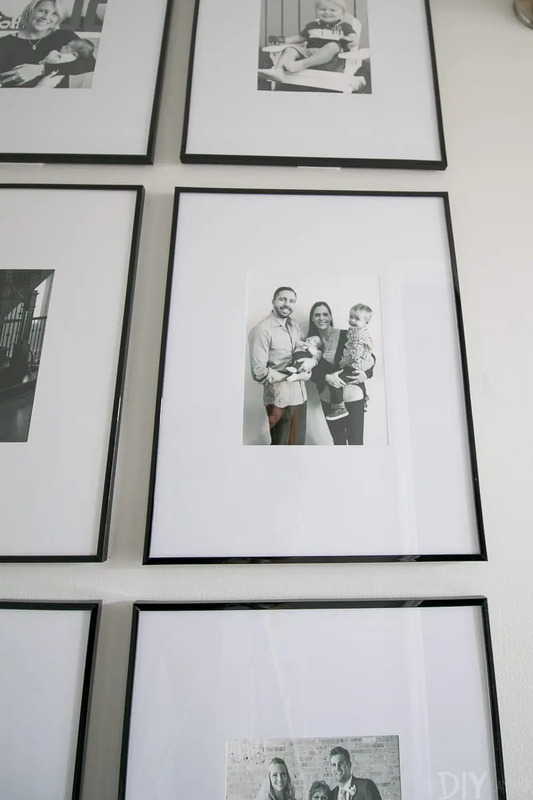 When it came time to hang, we started with the picture in the exact center of the wall. Once that one was hung, we just went right off of that leaving about 1.5-2 inches in between each frame. Make sure you use your level as you go and do your best to evenly space things out. 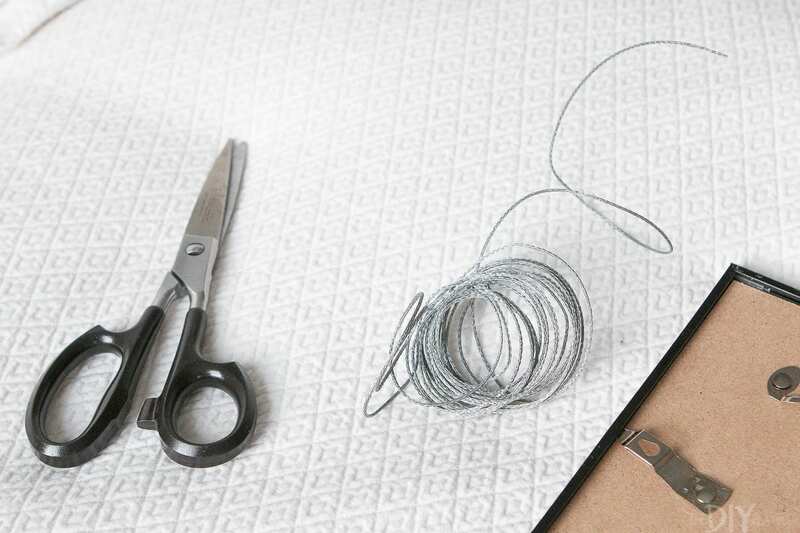 If a frame doesn’t line up perfectly, you can then adjust the wire on the back to make it looser or tighter. 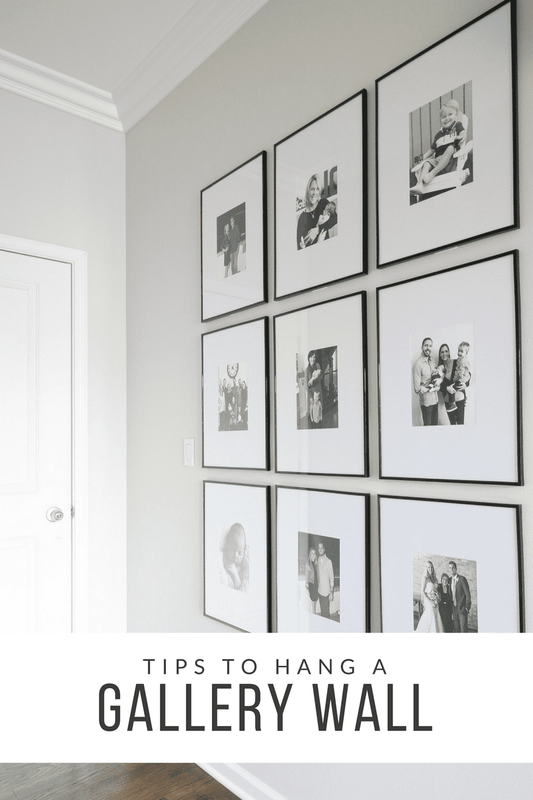 It’s a tedious process, but it’s important to make sure things are level and evenly spaced as you hang each one. If you mess one up, then the entire gallery will be off, so take your time. Once everything was hung, level, and looking the way we wanted, we used command strips on the back to keep each frame securely in place. 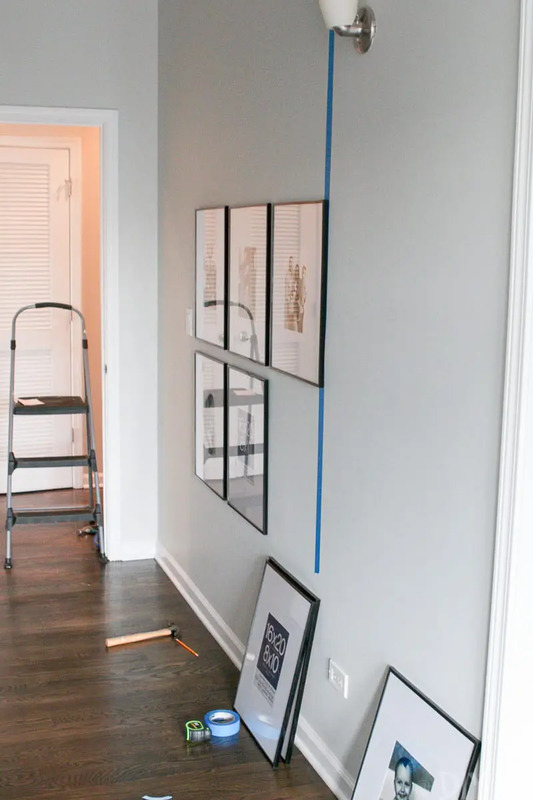 When you use hanging wire on the back, the frames can easily move around when you walk by and you’re left with frames that are no longer level. To avoid this, cut a command strip in half and secure it to the top and bottom of the back of the frame. That way it stays put no matter what, and you don’t damage your wall. I think the wall turned out beautifully. 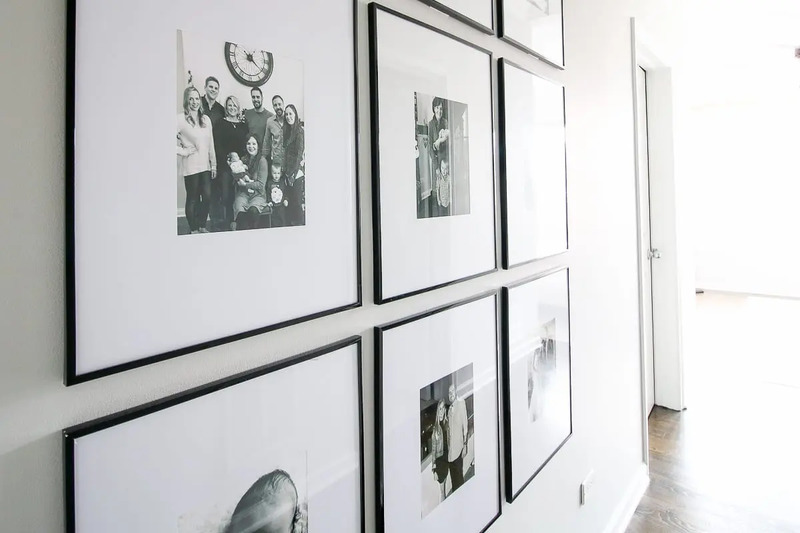 My mom absolutely loves the statement it makes when you walk into her bedroom, and better yet…she is surrounded by photos of her favorite people! I can’t wait to show you the rest of her bedroom on Friday. Get ready for a calm master retreat with touches of brass and blush. So pretty!